Lemon Poppyseed Donuts and Pulsar. Pulsar Watches sent me one of their newest solar light-powered watches to try out and help me celebrate “Life in Real Time.” This new campaign is about savoring each and every moment in time. With our new family addition on the way, I was totally onboard with this idea; savoring these quiet moments while we have them has been a new priority for me. It’s so easy to get caught up in my full inbox, and ever growing to-do-lists, but my husband and I have been making it a point to slow down a bit more on the weekends, live in the moment, and appreciate the time we have together as a family of two. This weekend, to enjoy our #LifeInRealTime, I popped on my Pulsar Watch and spent a quiet morning working on some new recipes. I don’t get to spend a ton of time baking, but when I do, I’m always reminded of what a centering experience it is. The phone gets pushed aside, so I can focus on measurements and ingredients and walking through the recipe. 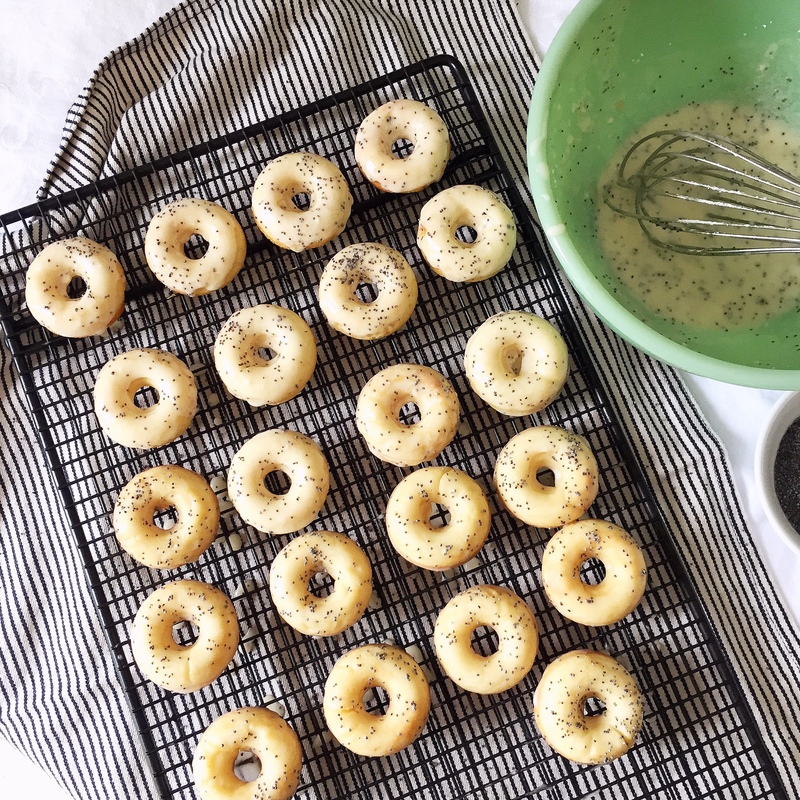 The fruits of my slow-weekend morning of baking were a try of fresh mini lemon-poppy seed donuts, which we enjoyed with a cup of coffee in our breakfast nook – the perfect way to savor the moment. Combine lemon juice and milk in a small bowl and set aside. Whisk together flour, baking powder, salt, and nutmeg. Combine butter, sugar, honey, egg and lemon-milk mixture. Fold together dry and wet mixtures until just combined. 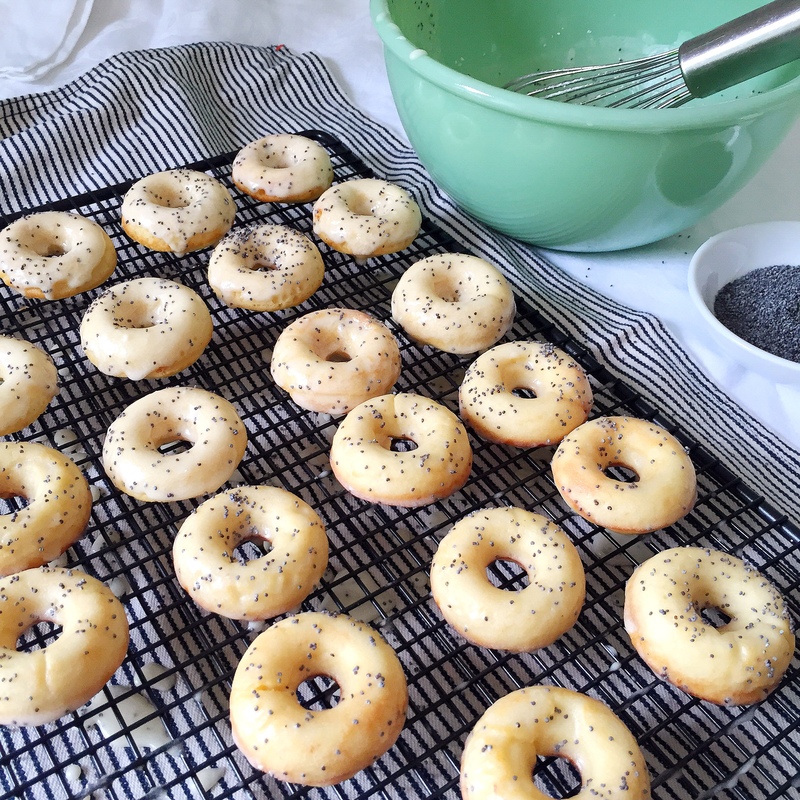 Fill a pastry bag (or Ziploc bag with the corner cut off) with the donut batter. Spray donut pan with non-stick spray and pipe mixture into the tins until ¾ full (try to do two spins around the donut circle with the bag of batter). 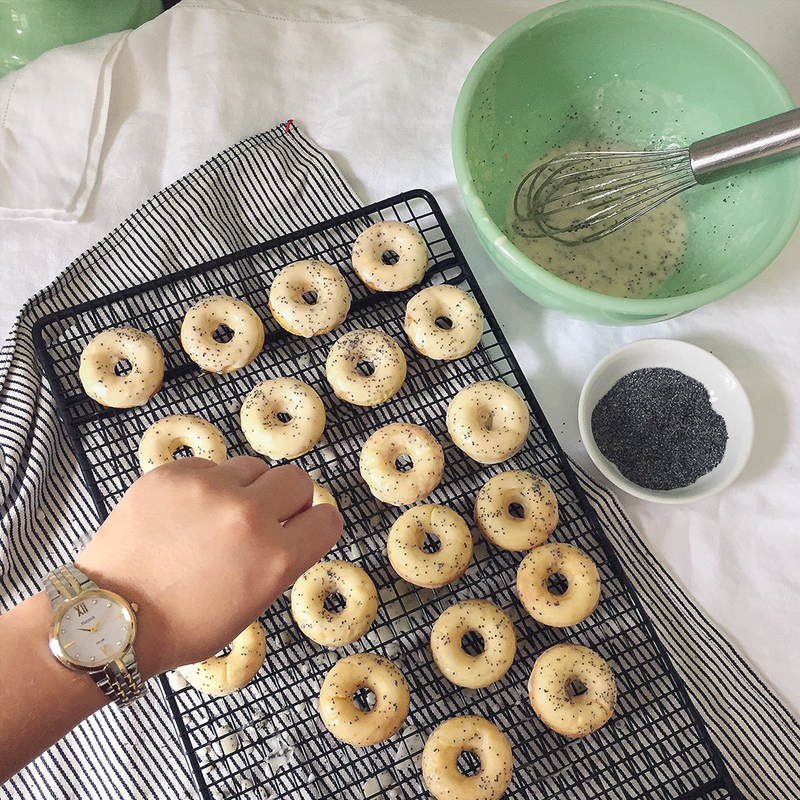 Bake at 400 degrees for 6 minutes and then immediately remove from oven and flip the donuts quickly (use a fork to handle the donuts) and return to the oven for an additional 2-3 minutes until a light golden brown. 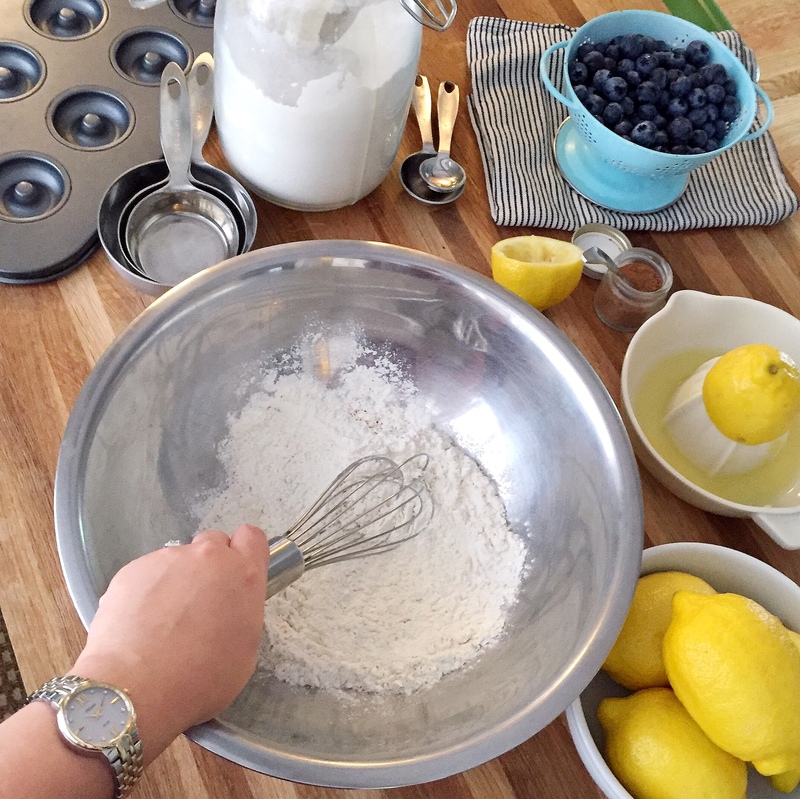 While donuts are baking make glaze: combine confectioners’ sugar, milk, lemon juice and melted butter until smooth. Stir in a spoonful of poppy seeds. 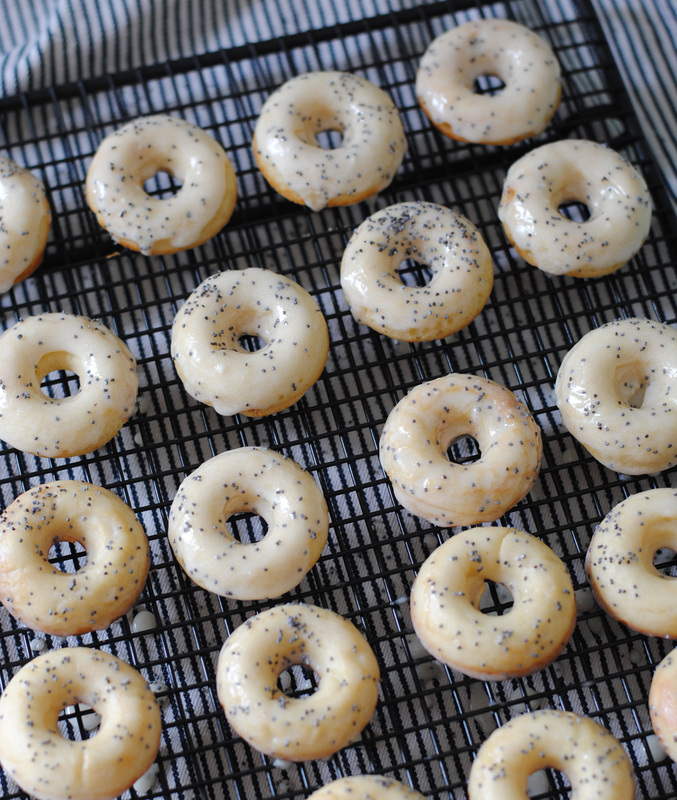 Drizzle slightly cooled donuts with glaze and sprinkle with additional poppy seeds. Nursery Inspiration. Pumpkins and Apples Party.